We provide the highest quality professional carpet cleaning for homes and businesses in Wellington. Our trained carpet cleaning technicians take great pride in bringing back the look and feel of your carpet. 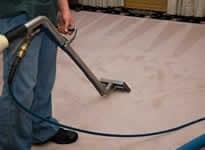 At carpet cleaning Wellington we use powerful truck mounted steam cleaning equipment that is recognized as our industries most trusted and comprehensive carpet cleaning machine. We offer same day service for your carpet cleaning and offer convenient scheduling Sunday through Friday. We clean all types of commercial and residential carpet. Our services range from basic steam cleaning to intensive deep cleaning. We also spot clean and offer pet stain removal services. Carpet Cleaning Wellington also offers sanitization treatments to kill allergens and help you breath healthier. Also, Carpet Cleaning Wellington can Scotchguard your carpets so spills can be wiped away and dirt can be vacuumed off before it penetrates the carpet fibers and causes staining. 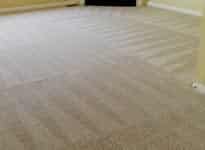 Carpet Cleaning Wellington, a division of Steam and Shine, offers organic steam cleaning. We truly believe our customer service, organic cleansers, and trained technicians can’t be beat and we hope that you will give us the chance to service your carpet or upholstery steam cleaning needs. Unlike many of our competitors, we utilize Eco-friendly green steam carpet cleaning solutions. Our technicians are trained and certified in-house, and we never outsource our work to freelance contractors. We’re passionate about offering our customers the safest organic carpet cleaning service in Wellington FL and we’re confident you will be satisfied–that’s why we offer a 100% service guarantee! Call Wellington Carpet Cleaning today at (561) 208-5668 to learn more about our organic steam cleaning. From offices and banks, to convention centers and schools, Wellington Carpet Cleaning can clean carpets and upholstery for all commercial accounts. For offices that have employees and customers throughout the day, Wellington Carpet Cleaning offers after-hours service and service on Sundays. Wellington Carpet Cleaning also offers an annual cleaning plan for businesses that require multiple cleanings per year. With our annual plan, you will be eligible for a 30-50% discount off standard pricing. Call us today for a free estimate for your business and to discuss our annual cleaning plan. At Wellington Carpet Cleaning we strive for the the highest levels of customer satisfaction. That’s why all of our services are 100% guaranteed! Call Wellington Carpet Cleaning today at (561) 208-5668 to learn more about our business annual plan. Uric acid from pet stains can be very difficult to remove with household cleaners. Our enzyme and peroxide treatments are specially formulated to neutralize pet stain and the accompanying odor. We also rinse the carpet after the cleaning to ensure no residue is left in the carpet. Our pet stain treatment outperforms other leading brands and Fresh Bond Technology eliminates odors permanently. It’s perfect for use on those places where stinky pet odors build up. It can be used as a spot treatment where it is sprayed directly onto the carpet, and then used in extraction machines to complete the process. Simple Green Pet Stain & Odor Remover has a wonderful scent that will leave your home smelling clean and fresh, and best of all it will help forget about your pet’s accident while your home remains clean and fresh. Call Wellington Carpet Cleaning today at (561) 208-5668 to learn more about our coupons. Water damage can stop your business in its tracks or make affected areas of your home unlivable. 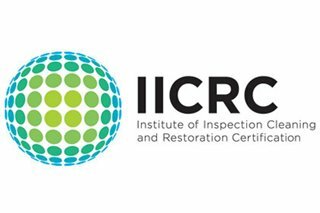 Our experts will immediately respond to any water damage emergency 24 hours a day, 6 days a week and develop a plan tailored to your specific restoration needs. Water damage requires immediate attention to minimize further losses. Extraction and remediation must be performed properly to avoid secondary damage. In case water damage occurs in your home or property follow theses five steps and you can prevent further damage. 1) Locate the problem or source of water loss. Examples are turning of the water line for faucet, washing machine or dishwasher. Be sure to turn off electrical appliances if in affected area. 4) Move all items in advance such as furniture, boxes, cloths, beds, etc. to a room that is unaffected. You can place plastic or foil underneath furniture legs to prevent bleeding of the furniture onto the carpet. Standing water and wet materials are breeding ground for viruses, bacteria, and mold. If water is still for more than 48 hours the toxic mold can begin growing in the damaged areas. 5) Call Wellington Carpet Cleaning so we can restore your carpets and upholstery to their natural state, dry. We will pump out freestanding water quickly, and extract water from the carpet, padding and upholstery. We will remove carpet and padding if deemed necessary. We will then clean, dry, and re-install carpet. Consistent up-keep of your investment will minimize your overall running costs to help maintain the value of your vessel. We offer all aspects of boat detailing from one-off service to a full time maintenance program. Our services include pre-conditioning and detailing to preserve your boat surface and add value to your boat. 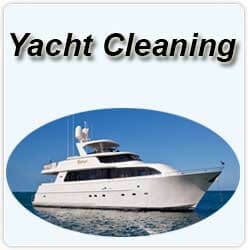 We will take care of your boat by steam cleaning your yacht, removing all stains, marks, and soil. 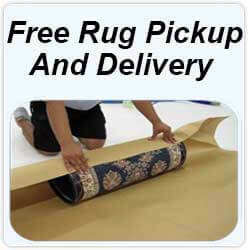 We will make the carpet and upholstery look like brand new again. We can even seal your carpets and upholstery against future stains. We will also sanitize after the cleaning to kill all types of bacteria. At Wellington carpet cleaning we guarantee the next time you step on to your boat will be as fresh and clean as when it was brand new! Call Wellington Carpet Cleaning today at (561) 208-5668 to schedule a free estimate.